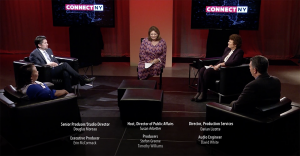 The award-winning monthly Connect NY offers lively insightful discussion, information and analysis on timely topics that affect the residents across the Empire State. Tackling those public affairs topics significant in the lives of New Yorkers across the state, we will explore personal experiences, important conflicts and tough issues unfolding at the state level through the lens of the stakeholders involved. As we gain the perspective of those in government, labor and environmental organizations, community leadership, law and business, this program aims to shed light on potential solutions to the complex problems New Yorkers seek to solve. A panel of leaders and experts lend their perspective in a dynamic discussion moderated by Susan Arbetter, WCNY’s Director Public Affairs and host of WCNY’s state-wide daily broadcast radio show The Capitol Pressroom. The current political divisions over the future of I-81 are as sharply defined as the physical divisions were when the elevated highway was built over 50 years ago. There are several possible ideas to consider, but the community has had a difficult time coalescing around a single plan. On the next Connect: NY, we discuss how disinvestment in highway infrastructure is affecting local communities in New York, as well as the uncertain future of I-81. Last year when Massachusetts opened its first two recreational marijuana dispensaries, they sold more than $2 million dollars of product in just five days. 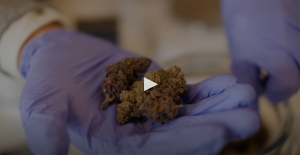 Some lawmakers in New York State want New York to get into the recreational marijuana business as well, but rather than allow corporate actors to run the market, they want low wealth and minority communities to benefit. Is that possible with corporations chomping at the bit to get a cut of this nascent industry? According to the New York State Department of Environmental Conservation, the state’s future looks warmer and wetter. Carbon dioxide and other potent greenhouse gases remain in the atmosphere for decades or even centuries, guaranteeing change even as we reduce emissions. The questions are, what is New York doing to reduce greenhouse gas emissions, and are we doing it quickly enough? Release Date: November 26th at 9 p.m.
A full year after the governor announced New York State public college and university tuition would be provided at zero cost through the Excelsior Scholarship Program, Connect NY examines the program’s implementation. Students and parents, professors, college and university financial aid stewards, state representatives and political watchdogs weigh in on the feasibility of the nation’s first attempt at tuition-free college degrees. Release Date: October 29th at 9 p.m.
After recent mass shootings across the country in schools, public venues and inside private companies – as a nation there seems to be a stalemate as to how to move forward. 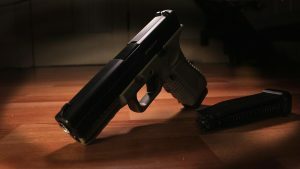 Communities are looking for answers as they discuss gun laws and safety strategies in the hopes that these tragic shootings can be stopped. Connect NY will record a public forum on this issue on September 27th at the WCNY studios. 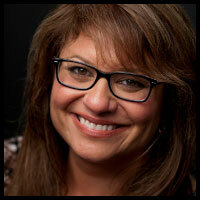 Susan Arbetter joins a panel of experts and a live studio audience to moderate a discussion on everything from best practices and responsibility when it comes to owning a gun, to why these issues are so difficult to talk about to what actually works when it comes to preventing mass shootings. Release Date: September 24th at 9 p.m.
Decades into harsh criminal justice sentencing guidelines mandated by bi-partisan approved laws – New York State is left to manage a congested judicial process and clogged detainment facilities. 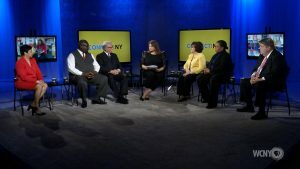 Connect NY takes a look back at how we got here, why the governor has prioritized reforms and what those involved in the justice system see as solutions. Generations of refugees have come to New York State to find and start a new life. However, recent federal policy has forced changes in the process and procedures most state and private organizations aiding these refugees have come to rely on. Connect NY explores how new policy is shaping the landscape of immigration and resettlement and what kinds of challenges refugees now face. Release Date: July 30th at 9p.m. Is the New York dairy industry in a critical state? As more farmers struggle to keep up with low demand in a health conscious world, Connect NY explores where the lines are drawn when it comes to government subsidies and support for private industry. Without much hope for a viable solution on the horizon, many farmers are being pushed to the brink. 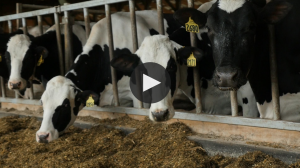 What’s in store for the New York dairy industry and how do farmers plan for the future? The Fouts family has been part of the Tompkins/Cortland County agricultural community for 70 years. The farm is home to more than 600 dairy cattle. FarmNet is an organization that serves to guide NY State farms through periods of transition, opportunity or challenge by providing free, confidential, farm related consulting services. Dr. Andrew Novaković – Professor of Agricultural Economics at the Dyson School of Applied Economics and Management Cornell University. Release Date: June 25th at 9 p.m.
New York State has a valuable and unique natural resource: an abundance of clean drinking water. But, that water is facing threats that in some instances we are responsible for creating. What will New York do about harmful algal blooms, micro plastics, chemical spills and other growing water concerns? Will the economic and environmental implications of dealing with these pollutants overwhelm current resources? Release Date: May 21st at 9 p.m.
Drug overdoses now kill more people than gun homicides and car crashes combined. 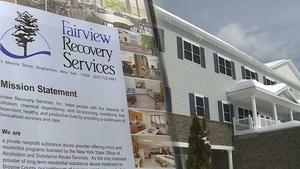 How is New York State confronting the issue? Why are we facing this crisis? 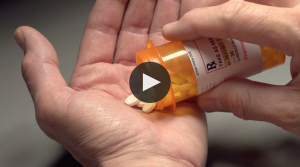 WCNY’s “Connect NY” delivers an update on the ways in which the Empire State has responded to the nation’s opioid addiction crisis. The program includes reports from Buffalo on those involved in the first opioid treatment court. March 26 at 9 p.m.
Will the Mohawk Valley and Central New York become the place where the emerging domestic drone industry takes flight? 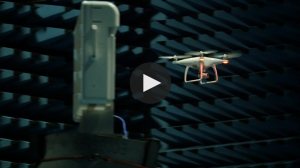 With the Empire State five years into the development of its drone corridor between Rome and Syracuse, Connect NY visits the epicenter of this initiative to find out what’s happening. Will the state support for cutting-edge technology companies, research, development and advances in drone traffic management pay off with jobs and a boost to the economy as promised? April 16 at 9 p.m. Significant progress has been made in the 50 years since passage of the Fair Housing Act, but both segregation and discrimination persist. In this program, we will look at where and why housing discrimination continues and how the FHA might be reformed to accommodate these new housing challenges. Powerful men at the top of their careers lose everything because of inappropriate sexual behavior that had been an open secret. Why is it no longer acceptable? 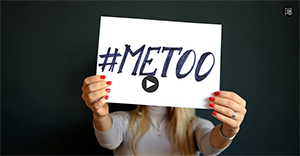 WCNY’s “Connect NY” responds to the growing recognition of sexual harassment in our society. A panel of experts help define it beyond the headlines of 2018 and share how communities and groups can change the culture that creates it. “Connect NY” introduces one effort in Rochester where business owners and activists are working to prevent sexual harassment in restaurants. Richard Mattson, Associate Professor of Psychology at Binghamton University. This episode is the third in the new six-part series “Being poor in New York State.” Host Susan Arbetter, WCNY director of public affairs, explores the experiences of those living in New York State without enough food, clothing, housing, money or means. Being poor often means a daily struggle to fight a system seemingly stacked against those on the margins of society, while also fighting against desperation and hopelessness. 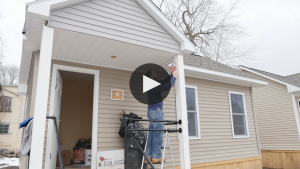 In this WCNY six-part “Connect NY” series, viewers will learn about the choices and sacrifices the urban and rural poor must make to survive every day. “Being Poor: Dope, but no Hope” explores those with drug addictions and continuous illegal drug usage and how their situations often spiral into a circumstance where they are living in poverty. While much of New York State, and much of the nation has been dealing with an opioid crisis, young people in the Southern Tier face the additional burden of a stagnant economy. Many attribute the staggering rise in opioid addiction and deaths to a lack of hope about the future. We meet a woman in recovery trying to get her life back on track after addiction led her to homelessness multiple times. Experts shed light on the challenges facing many addicts and recovering addicts living at and below the poverty line and what potential solutions and resources are available within the state of New York. 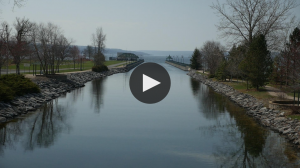 The focus of this episode will be poverty and the connection to the agricultural economy and business environment in New York State. It’s the last installment of our Connect NY series on the Constitutional Convention. We lay out exactly what will happen if you vote YES on the referendum in November 2017. Plus, a look at how a convention might affect issues important to you, like the environment, criminal justice, education and corruption. A Constitutional Convention… from Imagination to Reality, next on Connect NY! 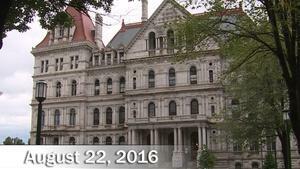 Coming up on Connect New York, we explore how changes to the state constitution could affect education: new provisions could limit class size, require full-day pre-K, even change how we pay for education. But many stakeholders fear the risks of a convention, which include the possibility of pension rollbacks. Connect NY unravels the pros and cons of a Constitutional Convention on education. On this edition of Connect NY – Cleaning up Albany. In the last ten years, more than 30 former or current state office holders in New York have been convicted of crimes or accused of wrong doing. 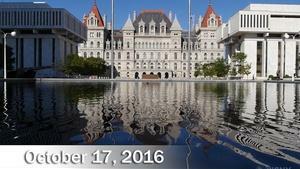 Could a Constitutional Convention help clean up Albany? How about take money out of politics? Re-calibrate power or institute term limits? The answer to all of the above is yes, but it comes with risks. Episode 109 introduces the impact a Constitutional Convention in New York could have on the state’s legal system. Joining host Susan Arbetter for the conversation are: Syracuse Mayor Stephanie Miner Soffiyah Elijah, Executive Director, Correctional Association Dr. Peter Galie, Professor Emeritus, Canisius College John J. Warren, Executive Director, Central New York Services, Inc. 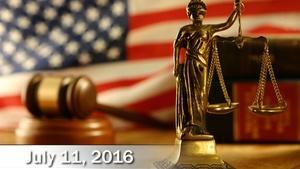 Forever Wild: Would a state constitutional convention strengthen or weaken this constitutional provision? 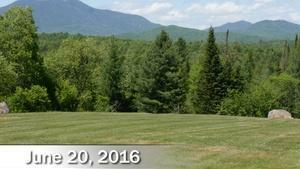 We visit a ghost town in the Adirondack and a rustic hunting lodge along the Hudson in search of answers. 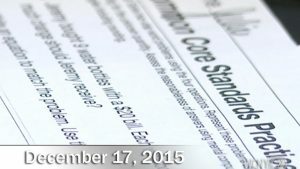 Then experts and stakeholders weigh in on one of the most contentious provisions in our state’s constitution. It’s next on Connect NY. Connect NY, Conversations That Matter To You. 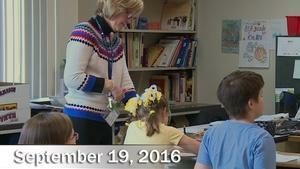 WCNY’s Susan Arbetter hosts New York State Education Commissioner MaryEllen Elia and a panel of education stakeholders to discuss the Common Core in New York schools. 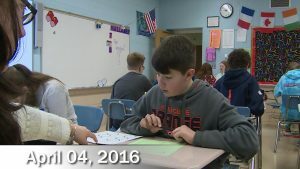 The program is the first of six episodes of Connect NY to feature conversations about education issues in the Empire State. On this edition of Connect NY: Opting out. The movement that challenged how New York tested its students. 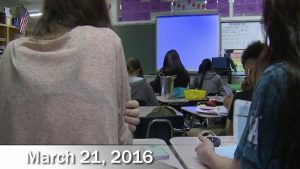 Will parents who refused tests this year, decide to opt their children back in now that new changes for education have been made at the state and federal levels. 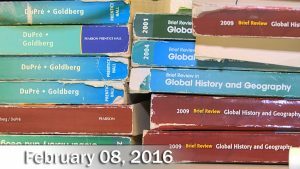 A closer look at testing, opting-out and parental engagement. Next on Connect NY. Check back for more podcasts. Over the next 6 months, you will come face to face with people making impossible choices. You will see the differences and similarities between poverty in the inner city and on the farm. And as we dive deeper into the topic, we will show you how poverty isn’t always about money – sometimes it’s also about access to information. Connect NY – What Unites Us. While there are plenty of issues that divide us as the presidential election shows, a tour through the chapters of New York’s history proves there is also much that brings us together. We look at Civil Rights, labor rights, women’s rights, abolition and more on this special presentation of Connect NY – What Unites Us. Every 20 years, the state constitution sets a statewide referendum on whether to convene a constitutional convention. The next vote arrives November 7, 2017. 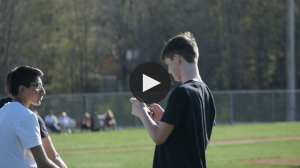 Through 2016 and into 2017, WCNY will develop a campaign of content exploring this important expectation of the electorate, including a series of six episodes of Connect NY so that voters are able to make an informed decision. 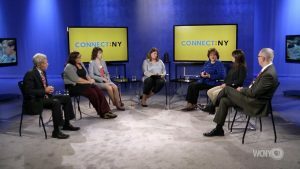 Connect NY – Constitutional Convention: What happens next? In this new episode of How can we foster both safety and mutual respect between communities of color and the police at a time when mistrust and misunderstanding is prevalent on all sides? We explore this nuanced situation with regional leaders and experts.